Beverly Serrell presents the reader with excellent guidelines on the process of exhibit label planning, writing, design, and production. 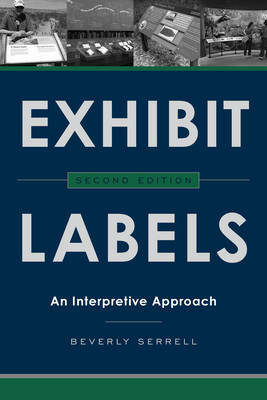 One of the museum field's leading consultants and label writers, Serrell's 1996 edition of Exhibit Labels has been a standard in the field since its initial publication. This new edition not only provides expert guidance on the art of label writing for diverse audiences and explores the theoretical and interpretive considerations of placing labels within an exhibition, it also features all new case studies and photographs and thoughts about interpretation in digital media. Exhibit Labels: An Interpretive Approach is a vital reference tool for all museum professionals.